Pork Office offers delicious authentic Ghanaian flavours to pork like nothing you have tasted before. Over the last five years since launch, Pork Office has established its own identity with many people travelling far and wide to sample its delights. Gabriel Quarcoopome, popularly known as Gabby is the brain behind Pork Office and can be credited for bringing his own take on pork. He was inspired by a popular roadside delicacy, ‘domedo’ and other pork dishes sold in unhygienic conditions and therefore unappealing to many. 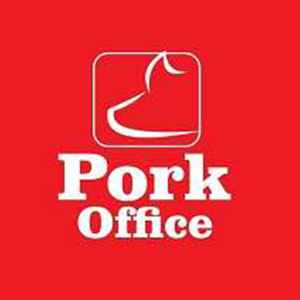 Building on the success of Gabby’s CHO restaurant, Pork Office was born in 2015 in Dansoman. It was a crazy sight as cars parked with people queuing so they could tuck into the mouth-watering grilled pork and yam chips. This has since become an everyday favourite making Pork Office probably the first branded pork product in Ghana. Gabby’s unique seasoning using a combination of various fresh Ghanaian spices and herbs is our secret because you will not get such a taste from pork anywhere else. Following the success of Pork Office, Dansoman, Gabby decided to take this pork delight to the people with Mobile Pork Office stands appearing at various festivals, functions and at strategic locations around Accra, making Pork Office the easily recognisable brand it is today. Just over two years ago, Pork Office, Teshie-Nungua and Spintex Road were opened. Mrs Joyce Rampson popularly known as Auntie Joyce, an experienced Caterer saw the potential of this venture and with her experience established the most successful Pork Office joint to date. Today, Pork Office, Spintex Road is our Flagship local fast food joint offering a cosy and comfortable environment to unwind and relax at the end of your hectic day. Our customers can have a drink and indulge in exotic Pork Office tastes from a traditional Ghanaian cuisine. Pork Office today offers a Menu of tasty Pork dishes, tastes that are simply unbelievable and sure to make you come back for more. It has made a name for itself as one of the popular pork joints in Accra. At Pork Office we excite the senses because it’s all in the taste. Indeed, a taste to remember, hence the perfect Ga expression of delight, Saa Naa Okwe. Don’t take my word for it. Make a commitment today to find a Pork Office joint near you so you may check this out for yourself. SAA NAA OKWE!